NEW STRAYHORN CD BIG HIT NATIONALLY! Stay connected with Detroit Music Facory on Twitter! The first of its kind to capture the full spectrum of Detroit popular music from the early 1900s to the twenty-first century. Drummer RJ Spangler has been on the Detroit music scene for many years. In fact, he earned his first Motor City Music Award in 1982 with a band he co-founded called the Sun Messengers. After 15 years as a Messenger, RJ went on to running the band for Detroit blues guitar master Johnnie Bassett. With Johnnie, RJ made his way coast to coast in both the US and Canada as well as many European tours. His résumé includes blues and R&B gigs with Eddie Kirkland, The Drifters, Earl King, Wanda Rouzan, James "Thunderbird" Davis, Big Jay McNeely, Larry McCray, Francine Reed, Tad Robinson, Shawn Pittman, Sir Mack Rice/the Falcons with Eddie Floyd, Johnny Adams, Bob Schultz, Eddie Bo, Andre Williams, Nathaniel Mayer, Robert Penn, Eddie & Jimmy Burns, Pinetop Perkins, Ron Levy, Shirley King, James Montgomery, Martha & the Vandellas, Catfish Hodge, Hamonica Shah, Mr. Bo, Willie D. Warren, Michael Ray & the Cosmic Krewe, Thornetta Davis, Jos'lyn B, Geno Parks, the Griswald Brothers as well as jazz gigs with James Carter, Faruq Z. Bey, Bill Heid, Leon Thomas, Marcus Belgrave and Roy Brooks. 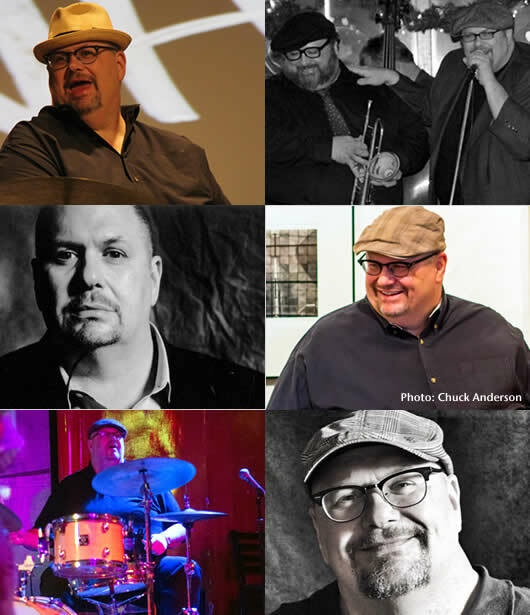 Today he is a WC Handy nominated drummer, producer of CDs & live events & guiding force behind the Planet D Nonet in addition to leading a very busy organ trio. RJ is on over 70 nationally available CDs. Invoking the spirit of the first ladies of the blues! Playing a mix of swing and blues, including T-Bone Walker, Sinatra, Louis Jordan and more. 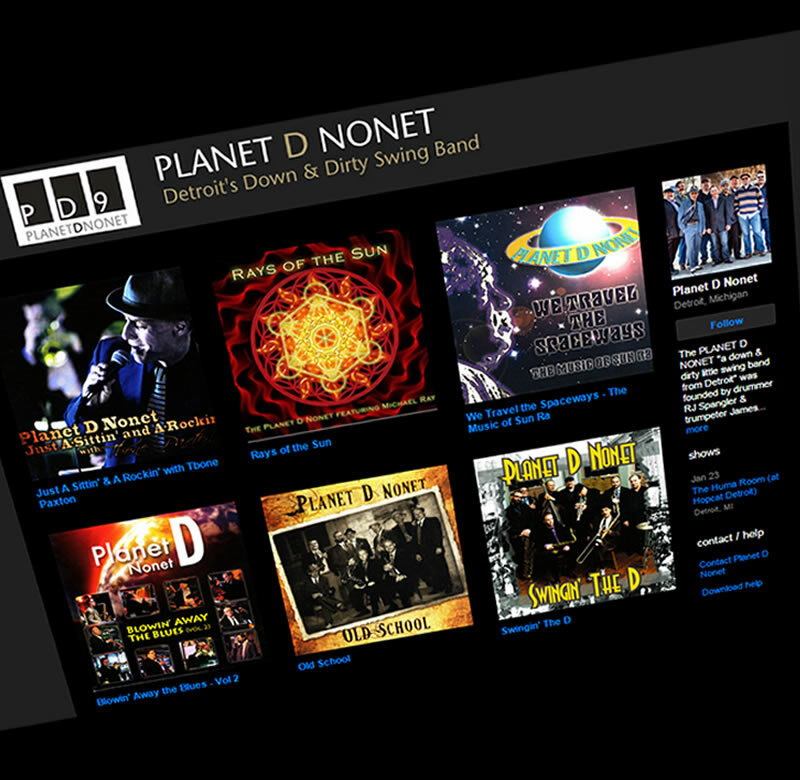 Classic blues, swing and world jazz. Recordings are available for purchase in both CD and downloadable formats.